Did you know? 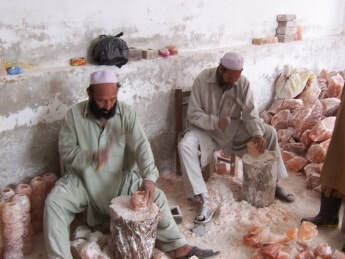 Although ‘Himalayan Salt’ is very popular, and millions of people worldwide buy it because they believe it is a ‘clean, natural product’ from Nepal, or Tibet, or Bhutan, in reality it is mined nowhere near the Himalayas, and is definitely not a ‘clean, natural product.’ Although it was formed 800 million years ago, at the current rate of extraction, the salt will be depleted, and it is not a renewable resource. 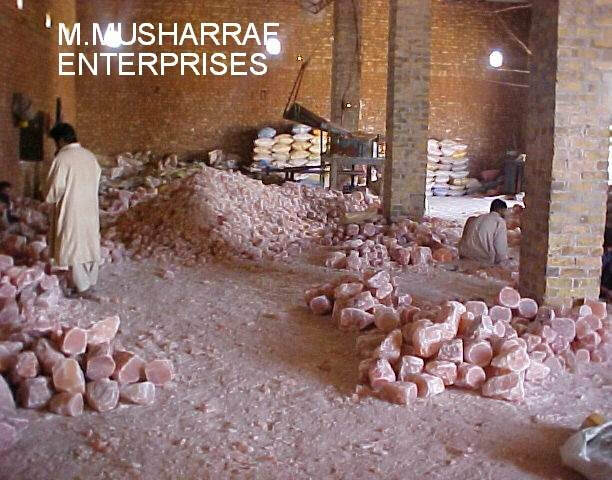 This pink salt is actually mined in the 2,300 year old Khewra Salt mine in the Jhelum district of Punjab, Pakistan, which is a whopping 186 miles from the Himalayas, and 100 miles south of Islamabad. Alexander the Great was purported to be the one who discovered the salt mine, in 327 B.C., but it wasn’t until the 13th century that the mine was put into operation. The invading Mughals took over the mine, until 1809 when the Punjabi’s took over. Then, in 1849, the British empire claimed the mine, and used forced labor to build new tunnels and mine the salt. The workers (local men, women, and children) were locked inside and not let out until they’d filled their quotas of salt. In 1876, during a protest, 12 were shot and killed. Although it is no longer in British hands (they left in 1947), all modernization put into the mine by the British was torn out, and the workers in the mine, at least up until 2005, labored under ‘medieval conditions’. 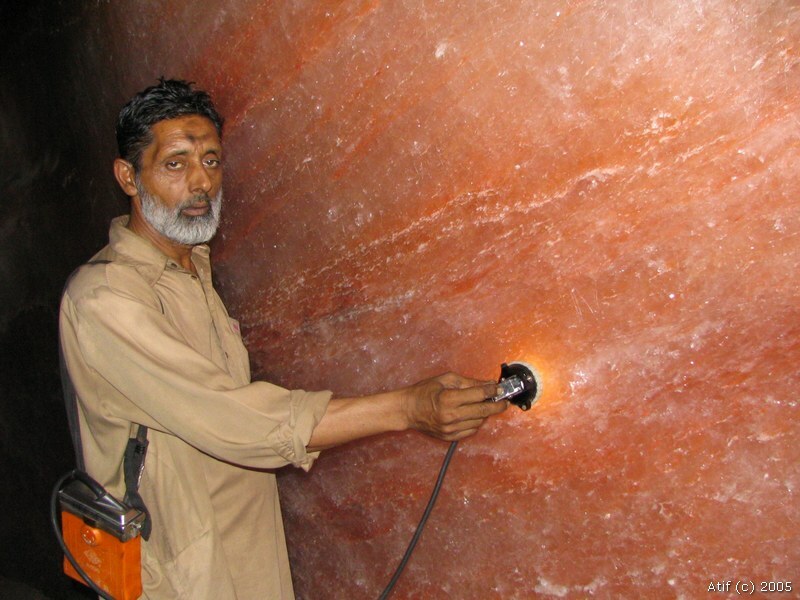 The Khewra Salt mine produces around 350,000 tons of salt per year, and to open new tunnels to extract the salt, explosives are used to blow open the mouth of the cave. 50% of the salt is mined at a time. At present, the mine’s tunnel network extends about 25 miles through 19 different levels. Salt is a crystal, and crystals are used in present-day technology, in computers, TVs and cell phones. Their ability to emit specific frequencies and store large amounts of information makes crystals essential to modern technologies. The crystals of Himalayan salt most definitely hold the trauma of the people forced to work in this mine, in centuries past, and even up to recent times. Is this something you want to put on your food, and bring into your body? 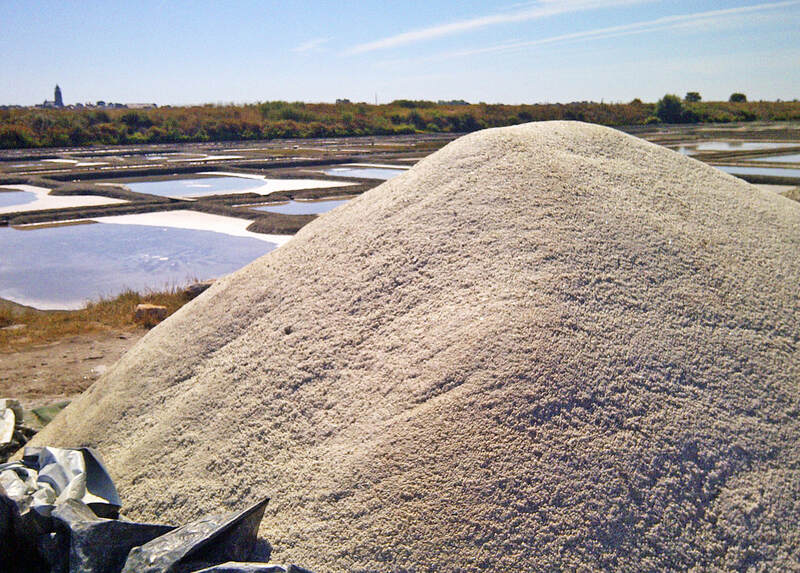 In contrast, the Fleur de Sel in Rubbo Salt of the Earth, has been evaporated naturally, and comes from the living sea water on the coast of France. It is gently hand-raked, gathered into mounds, and the mounds are taken to the local saltraker cooperative, packaged and sold.